At I-Ortho we know that deciding to begin the orthodontic process for your teenager can be a stressful time. That is why we are happy to provide as much information as possible on the best time to start orthodontic treatment. Adolescence is the optimal time for orthodontic treatments, yet sometimes earlier intervention is needed. It is all about the development of adult teeth. There is no specific time children need braces, but usually they lose their deciduous (baby) teeth by the age of 11-13, and their permanent teeth have come in. This is the perfect time to correct the problems causing a bad bite (malocclusion), improper tooth spacing, or poor alignment. Orthodontic issues do not resolve with age. They actually become harder to correct. 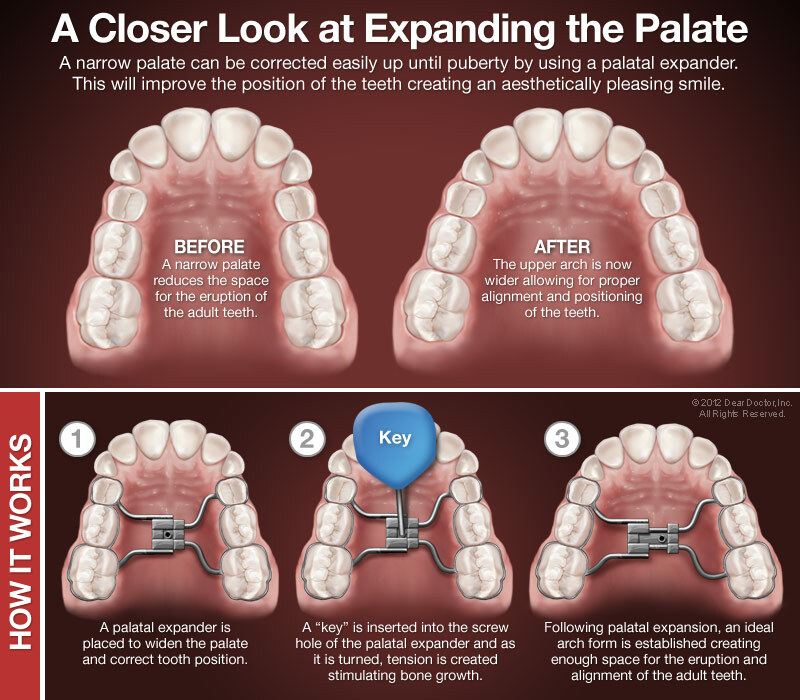 During adolescence the body is growing, making orthodontic problems easier to treat. With braces or appliances like palatal expanders we can rapidly improve the appearance and function of teeth. As growing ceases after adolescence, the bones of the face and jaw are completely developed. Many conditions are harder and more costly to treat. 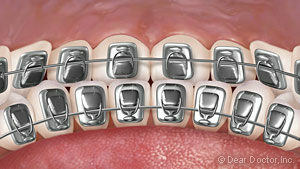 If you need braces, don’t worry, you are not alone. Most people have had braces and undergo orthodontic treatment. 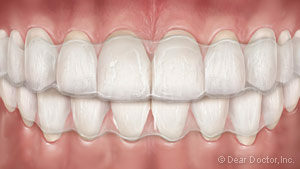 When you have finished, you will love your smile and see the benefits of great teeth your whole life. 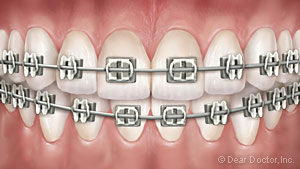 Metal Braces are smaller and lighter than they use to be. You can customize them and choose colored elastic ties for the brackets. Clear Braces have ceramic or composite brackets which blend in with the color of your teeth, hiding the appearance of braces. They are sleek and cost a little bit more. Clear Aligners straighten teeth through a progression of removable, clear plastic trays that you wear for 22 hours a day. These are often recommended for adult patients. Clear aligners have features like compliance indicators to tell how long you’ve been wearing them. These features help with teenage users. People like clear aligners because they are basically invisible. 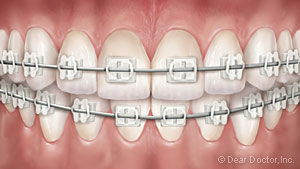 Lingual Braces are hidden because they attach to the back sides of the teeth. They are not seen at all. Other orthodontic appliances are suggested when you need major teeth or jaw movement. They include devices from small mouth pieces to external headgear. You wear them for a short period of time and they positively impact the rest of your life. How Long Do I Wear the Orthodontic Appliance for? It all depends. Each individual’s needs determine the duration of the orthodontic treatment. Most often, the active stage is 6-30 months. After which, you will wear a retainer full time for a certain number of months. Then, your orthodontic treatment is complete and your new beautiful smile is yours for the rest of your life.